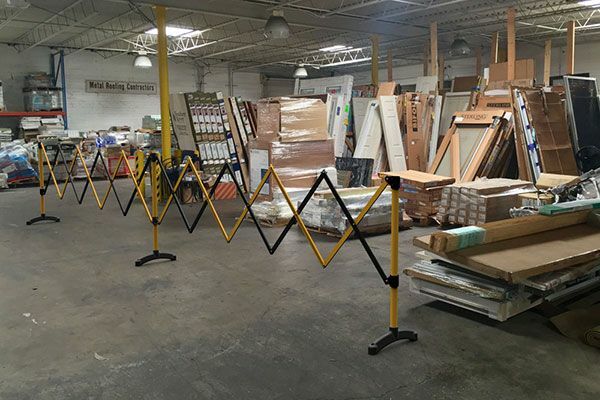 Barrier’s New Port-a-guard expanding safety barrier comes in a Standard 6 metre length which makes it an easy solution for denying entry to unsafe or unauthorized areas such as walkways, stairways or elevators. 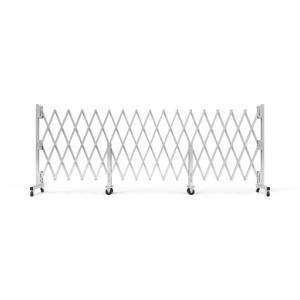 Barrier now offers an improvement in quality, range and design of their Port-a-guards with a stronger construction of aluminium and hi-tech plastic components that are like no other expanding barrier on the market. 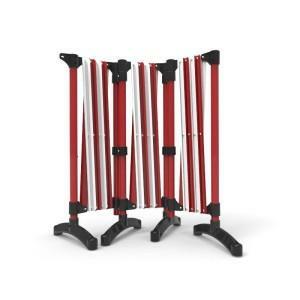 They are powder coated in two popular colour combinations of Red and White or Black and Yellow. 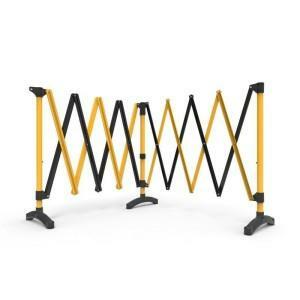 When you purchase the 6 metre (or the 3 metre) barrier you now get a versatile 2-in-1 pedestrian safety barrier that can be used as a free-standing or wall-mounted configuration - Two barriers for the price of ONE at no extra cost! Cheaper in price than the models they replace. New exceptional value 2-in-1 design. Free components included in the purchase. Aluminium and hi-tech plastic construction. Range of tailored accessories available. Choice of 2 colour combinations. 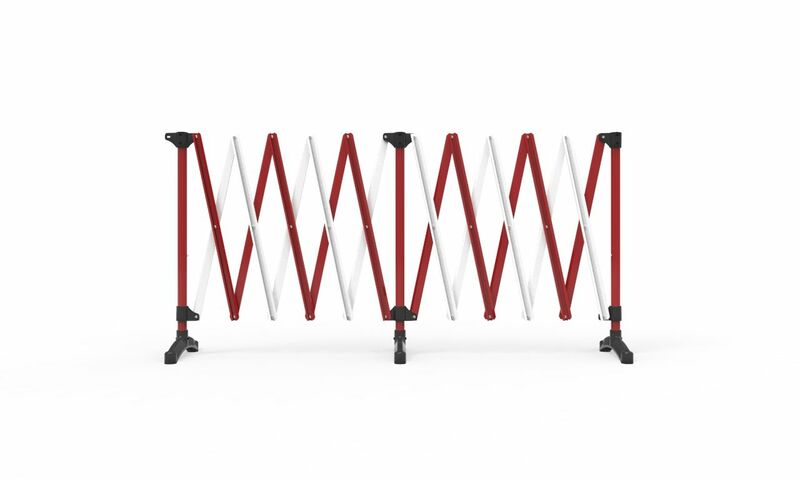 Also available in a 3 metre model. 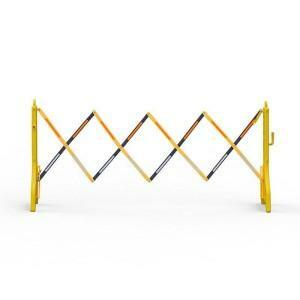 Description: Port-a-guard Standard expandable barriers. 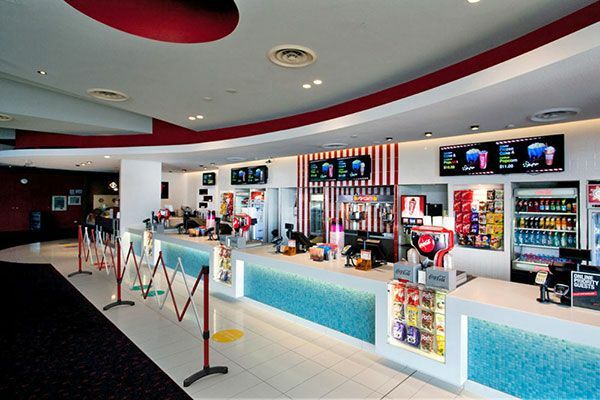 Configuration: Freestanding or wall mounted parts supplied in each kit. 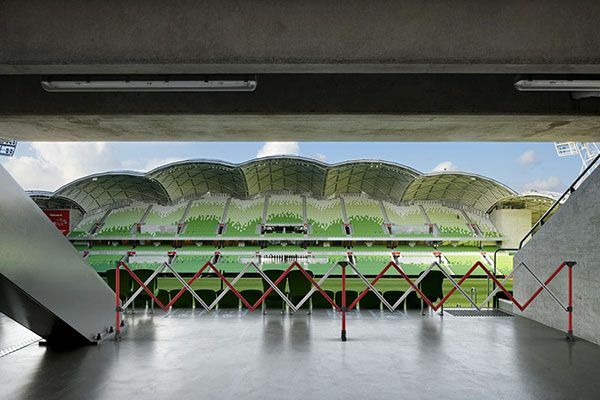 Material: Extruded aluminium posts and slats. Injection moulded ABS fittings. 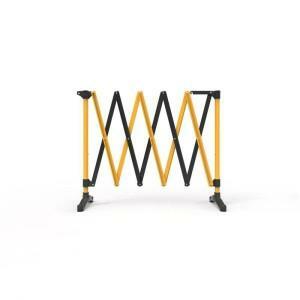 Finish: Powder coated Red/White or Black/Yellow posts and slats with Black ABS parts. 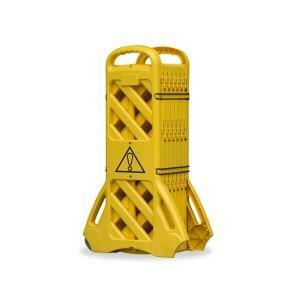 Height: 990mm without castors when expanded. 1090mm with optional locking castors when expanded. Width: 6 metres expanded. 625mm closed.